My latest craft project - it's fun to make and wear! Findus is a cat so I immediately liked this story as I have THREE cats. None of them are called Findus though and to be the best of my knowledge none of them have planted meatballs! Now, I think I should point out that this is a fiction book (that means it's a made up story!) Or at least I think it's a made up story, you can never be quite sure... 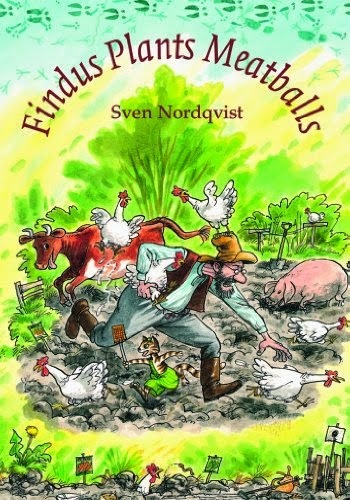 The Findus series originates from Sweden and there is a wide range of stories featuring Findus. I love this one as it centres on the garden. 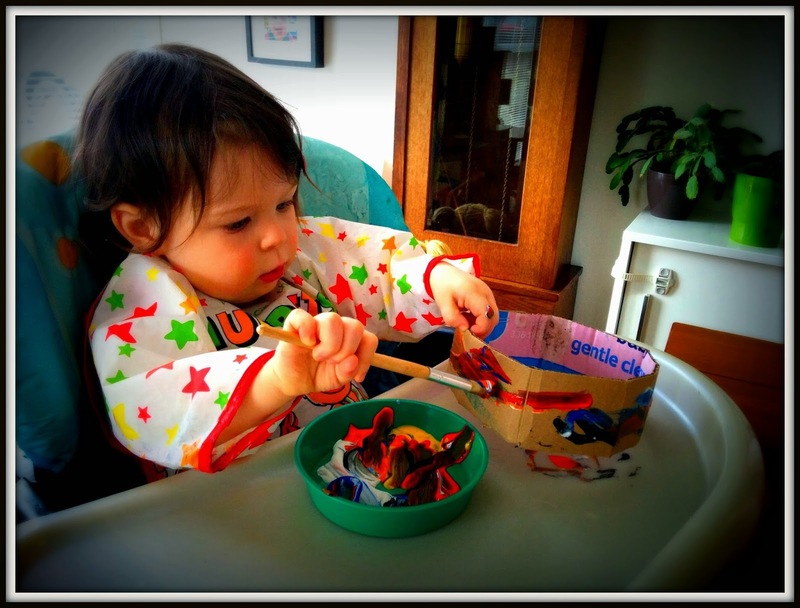 Farmer Pettson is busy sowing his vegetables which inspires Findus to do a bit of planting of his own. Chaos ensues and it is VERY funny to see what happens to the vegetable patch. I hope the same doesn't happen to our own veg patch mind you! There are lots of lovely pictures in this book too. I would definitely recommend this book as a fun read for everyone! 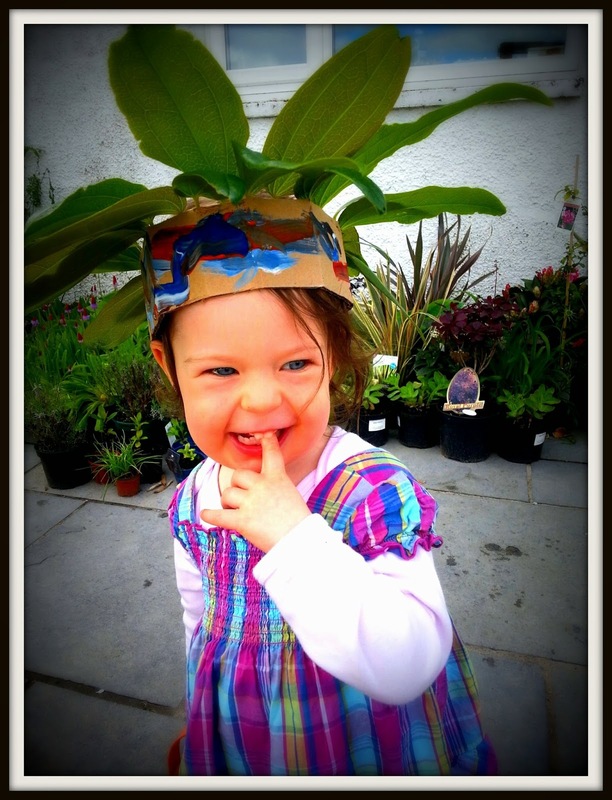 Gardening with Young Children is a guide to how to encourage kids like me to get outdoors, engage with nature and learn to garden. 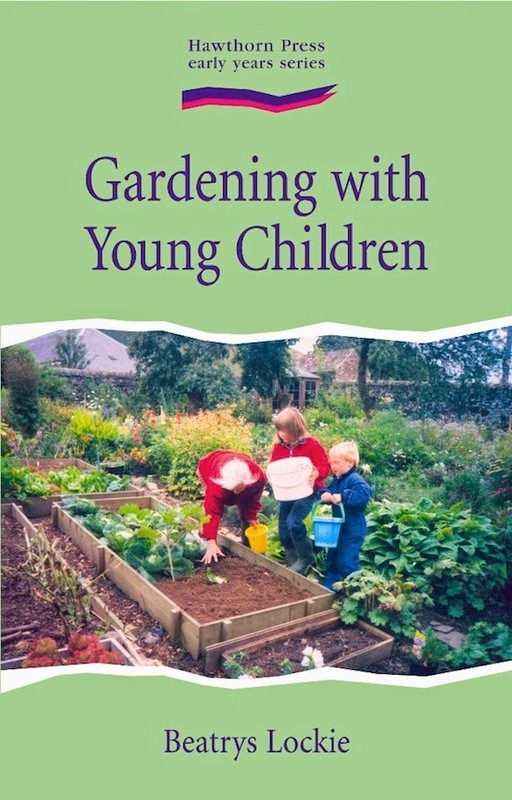 It is full of practical advice on what to grow and when. There is lots of information on wildlife as well as plenty of recipes and projects to make. There are poems and songs in the book too which breaks it up and makes it quite different from all the other books on this subject. The book feels a lot more old fashioned in terms of style than many of its competitors and I think if it had new photographs and lots of colour pictures it would be a lot more engaging for children and grown ups. There is a lot of useful content and it would be a useful reference book but sometimes it can be a bit dry and hard to read. However, it is worth the struggle on as there is a lot to learn and some lovely projects to try. I have shown you my step-by-step guide to one of my favourite projects below. 2. Bend it round your head to get it to the right size. Hold it in place with a paper clip. 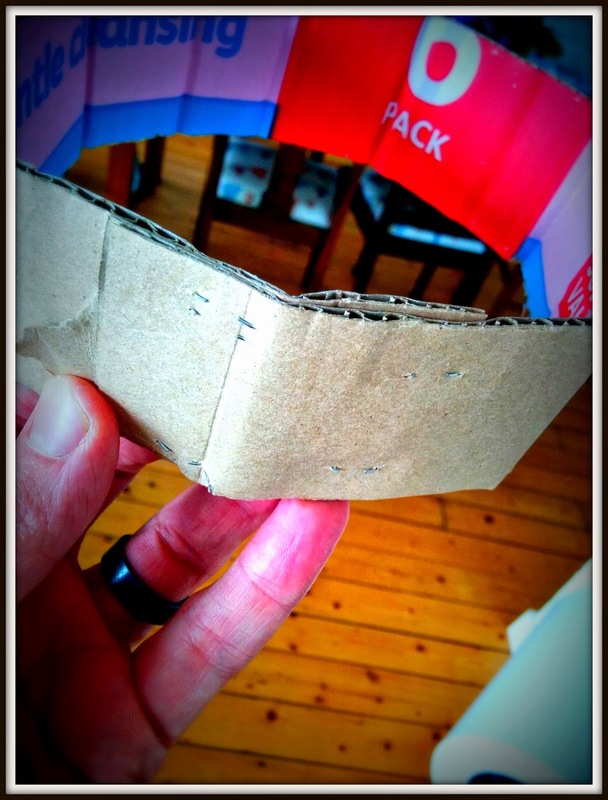 Bend the cardboard to the correct size. 3. 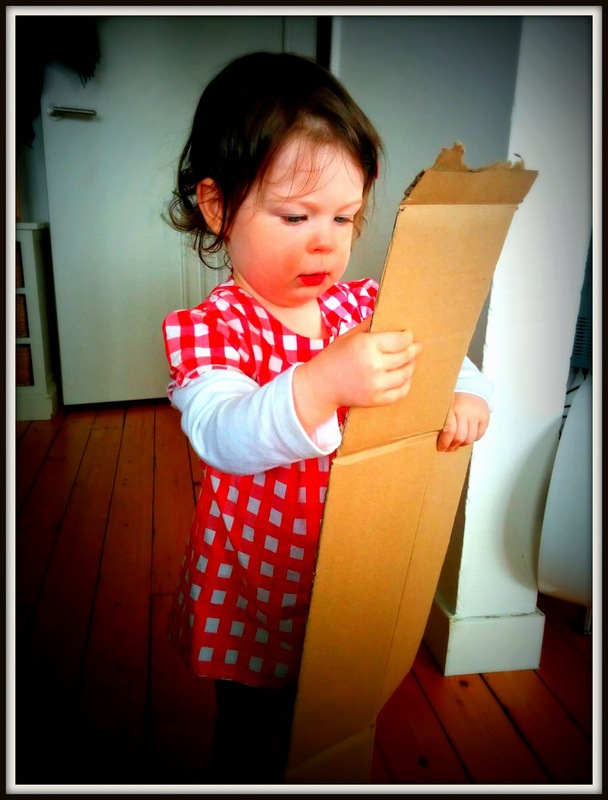 Take the crown off, ask a grown-up to cut off any excess cardboard to get the height of crown you want and ask them to staple the edges together securely. Ask a grown up to staple the crown together. 4. Now it's time to decorate your crown. 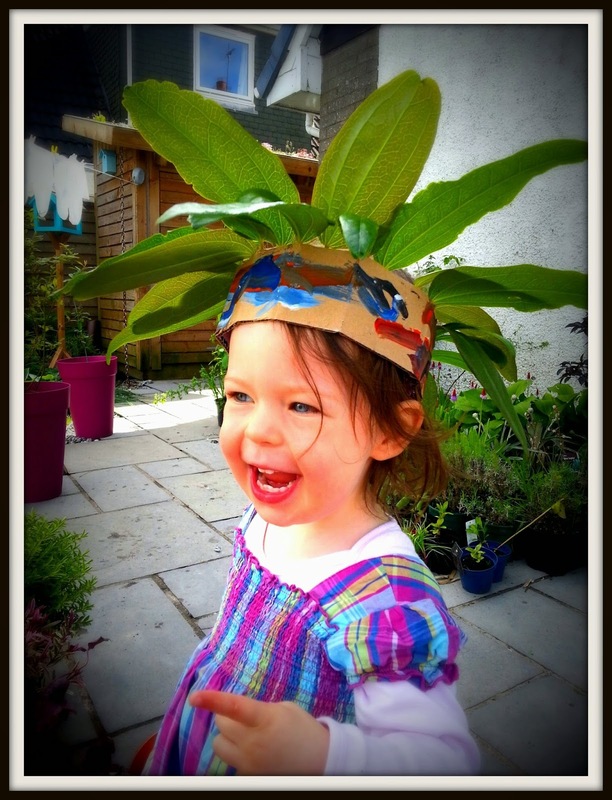 I painted it funky colours but you could add glitter, shapes or even go into the garden to find other things to stick onto your crown such as leaves, berries or flowers. Decorate your crown with funky colours. 5. Once the paint is dry you can go and collect some leaves. 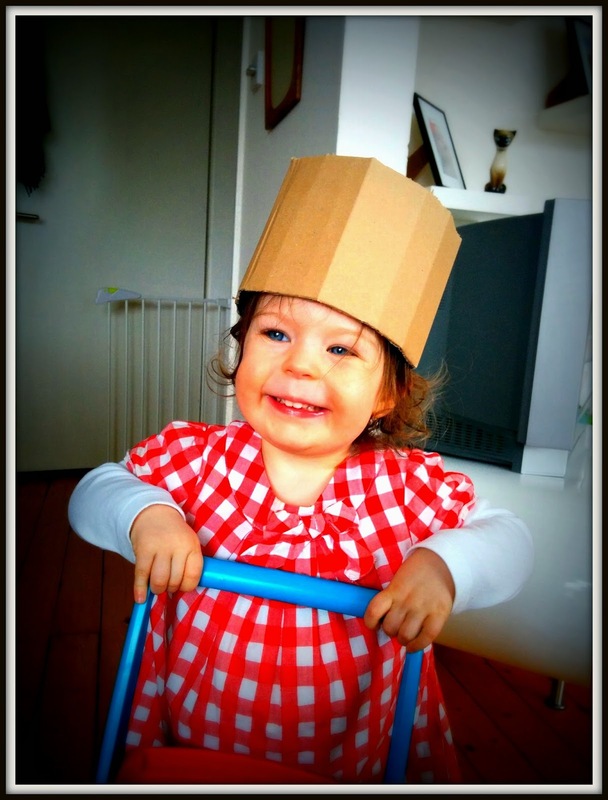 Carefully slot them into the corrugated holes in the edge of the crown to complete your Garden Crown! Carefully add the leaves to your crown. 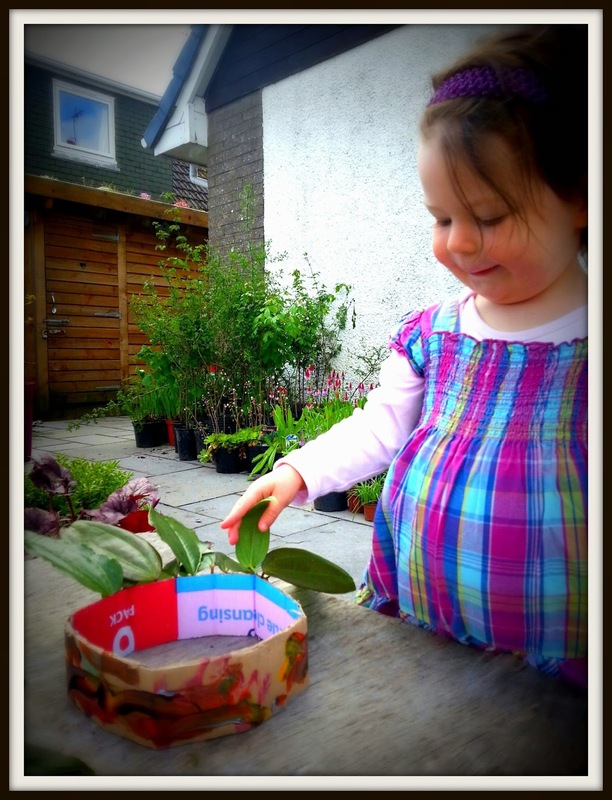 Thanks to Beatrys Lockie for the inspiration for this lovely craft project.